Who cares if the only information she could take back to the Kremlin was the kind of stuff we can all find for ourselves on Wikipedia? 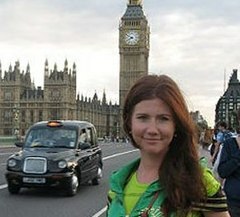 Alleged Russian spy Anna Chapman has captured our imaginations: a flame-haired femme fatale embroiled in a twisted tale of Hollywood proportions. Sort of.